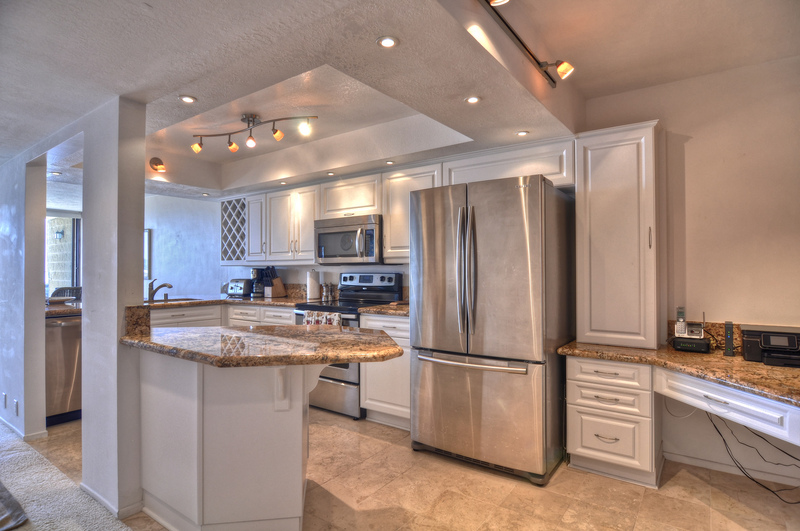 Gorgeous 3 Bedroom Condo with unobstructed pier, ocean and coastline views. Style, sophistication and soft beach colors create a beautiful setting for your vacation in this charming city. 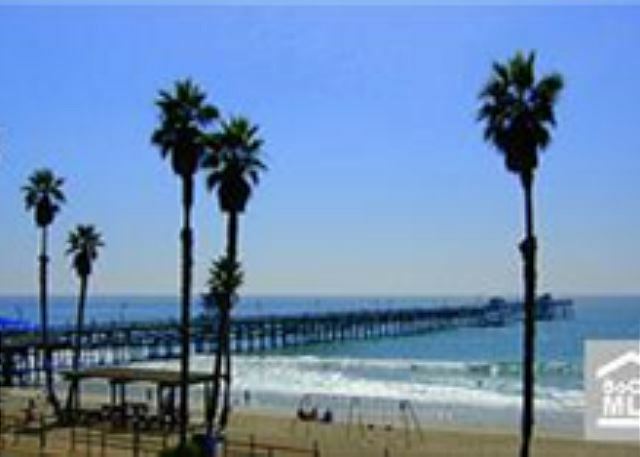 Called the "Spanish Village by the Sea", San Clemente is best known for the famous pier, world famous surfing, quaint downtown / shops / restaurants and beautiful beach. Highly upgraded, you'll feel like you're in a 5-star resort. 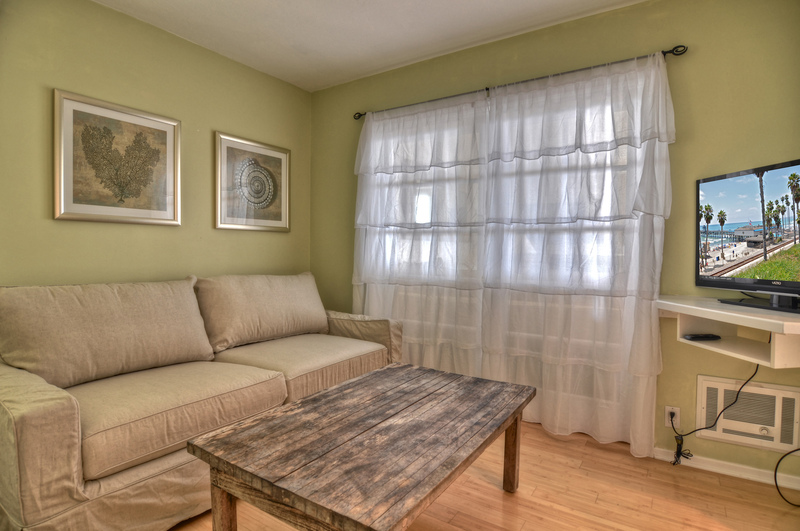 Spacious Living Room with Flat Screen TV (cable channels included! ), Fireplace and comfortable sofa offers great place to relax after a busy day, enjoy the views. 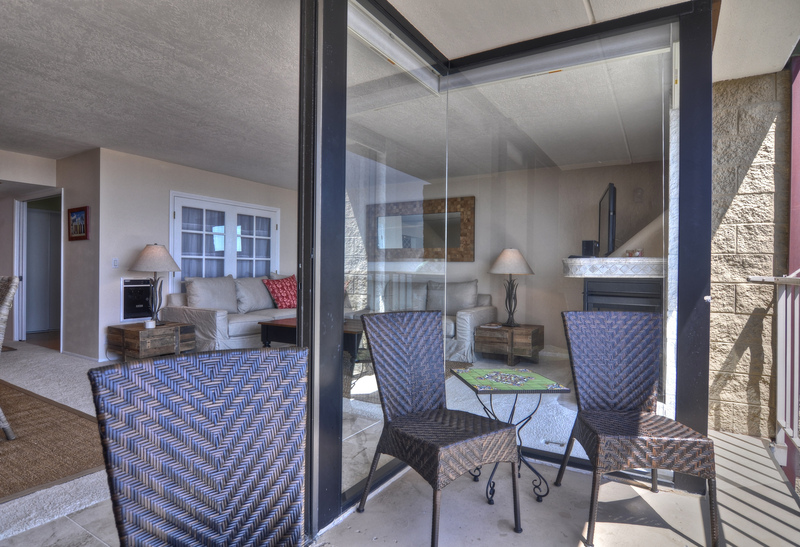 Sit on the balcony while reading your favorite book, drinking a cup of coffee or glass of wine. The views of the pier, beach and coastline are amazing! 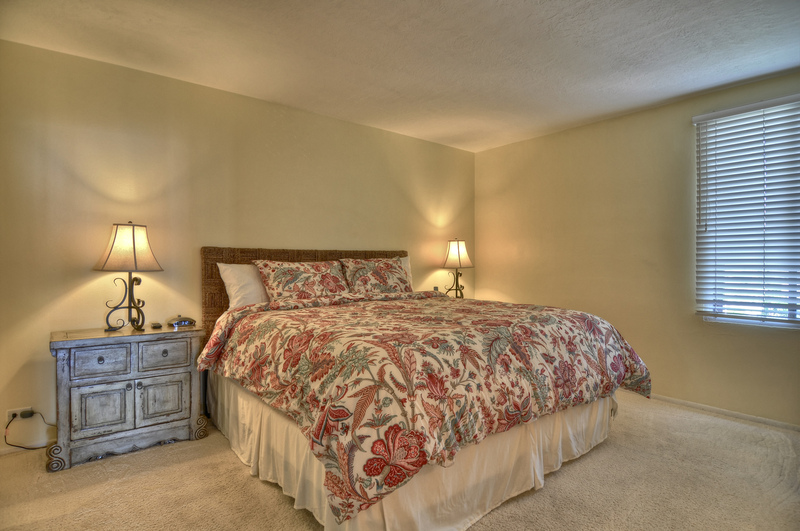 The Master Suite features a King-Size bed, lots of closet space, and ensuite Bath plus TV. 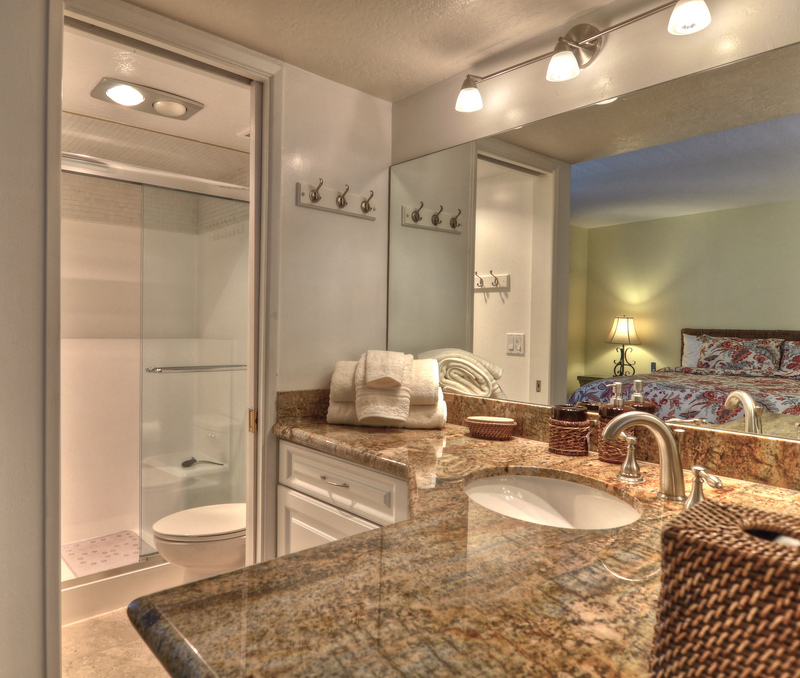 Luxury linens and plush towels add to your comfort. 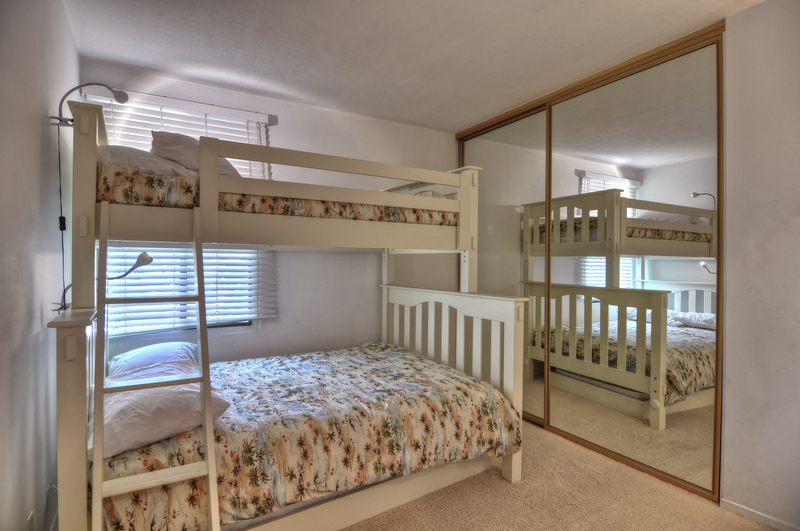 In the second bedroom are Bunk beds with a full on the bottom and twin on top. Additional sleeping is offered with the pull-out sofa in the third bedroom/den. There's also a TV and some bean-bag chairs! Fully stocked Kitchen makes meal preparation easy! Grab a quick snack or create a special dining experience. Need to work away from home? There's even a desk with printer! Steps to the Sand, Beach, Pier and Ocean. 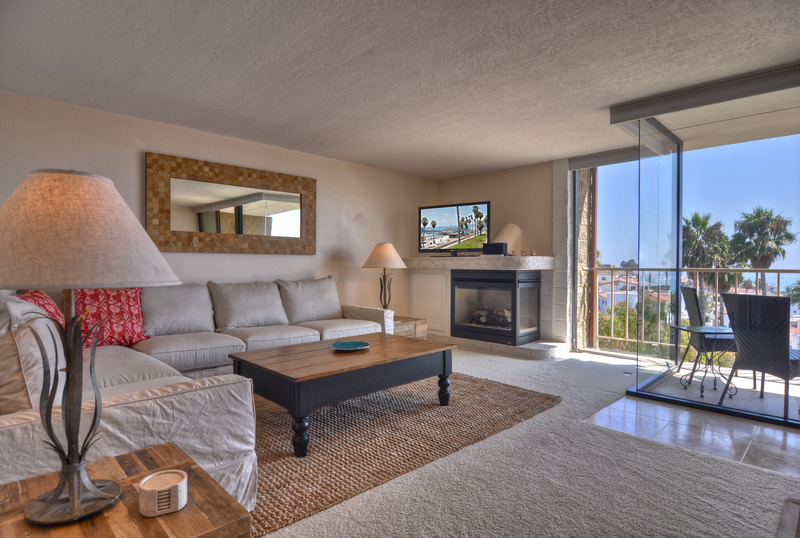 Did we mention the amazing panoramic view of the sparkling Pacific Ocean? ! According to STR Ordinance, guests are to sign a Reservation Agreement which will be sent in a separate email after the Reservation is accepted. Reservation Agreement includes check-in and check-out times, check-out list and other helpful information to make your visit enjoyable. We rented a 2-bed room condo for our young family from Valerie this past winter. We were happy to receive detailed and timely check-in and check-out instructions and the residence and amenities were just as described. Working with Valerie and her team was an absolute pleasure. The view from the balcony of this unit was stunning and priceless. The complex has a heated pool that we enjoyed very much. 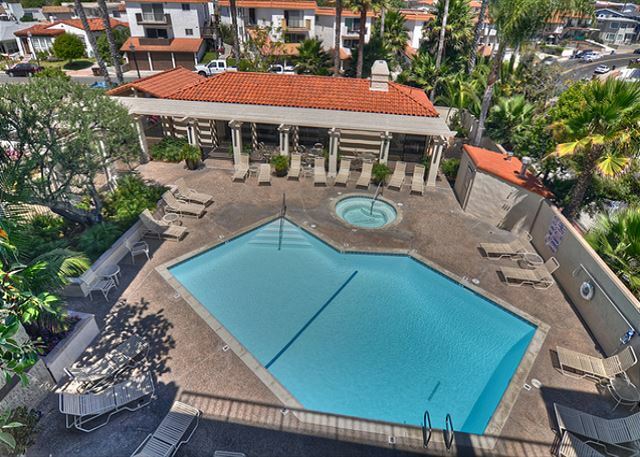 It is located in the best location within Orange County! 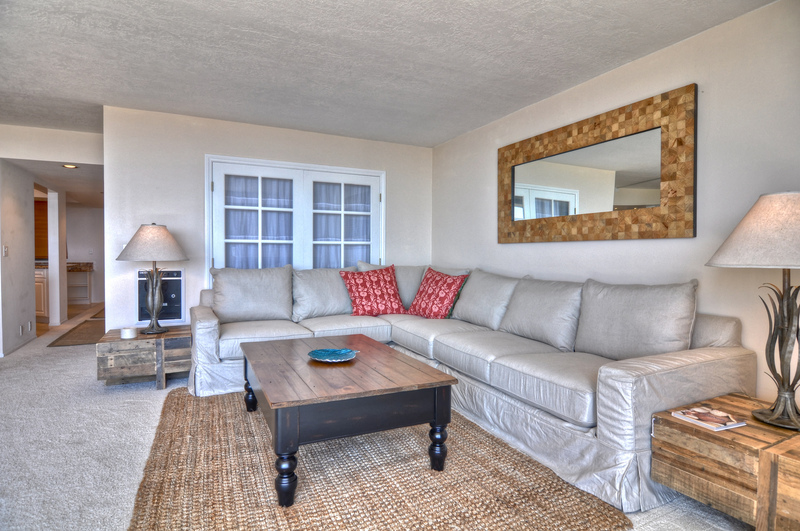 Easy short walk to restaurants, shops, the Pier, the beach, etc.. Also short drive to Laguna beach and Newport beach. 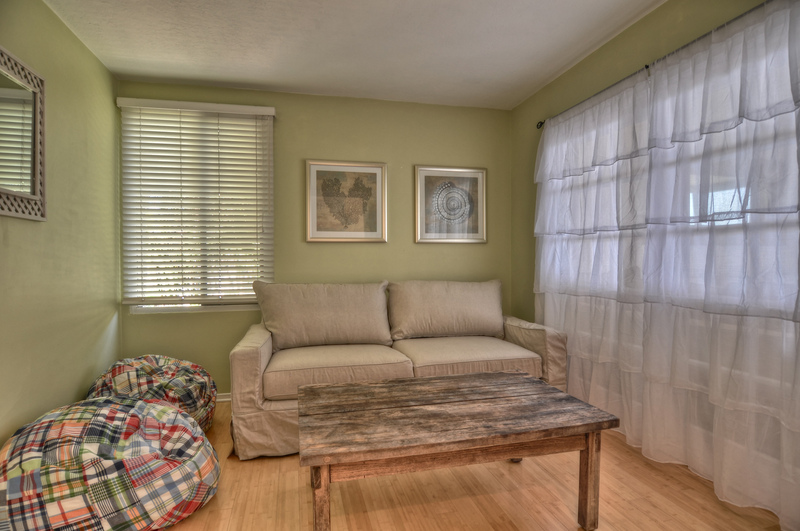 The unit is well furnished, is recently updated, and feels spacious and clean. My girlfriends and I stayed for our annual getaway. 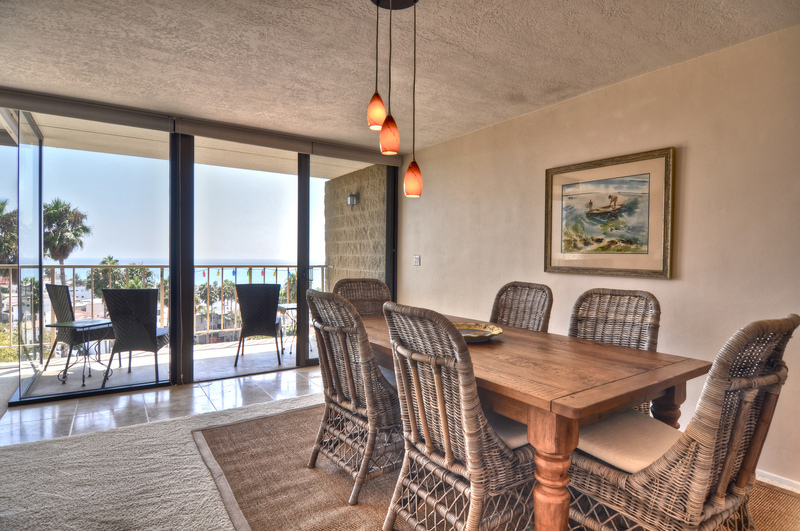 This condo was wonderfully furnished with great views and perfect location. 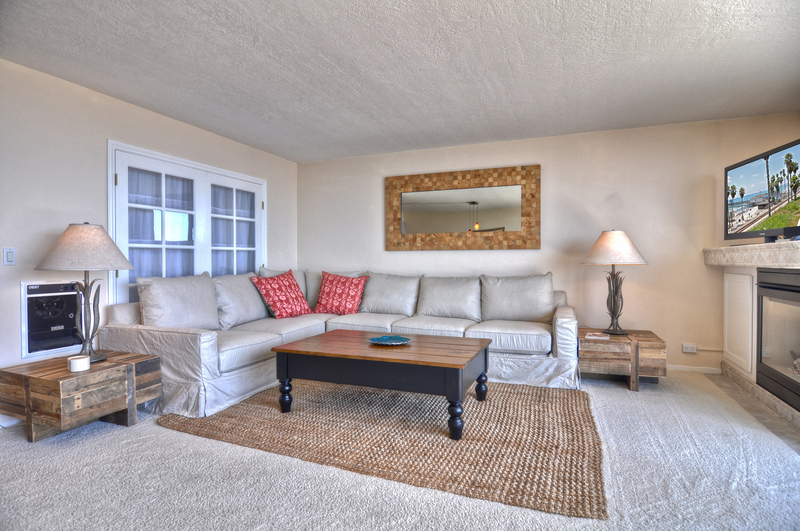 Valerie's condo is very homey, has spectacular views and is in the perfect location - literally 2 blocks to the pier. Very, very comfortable. Great location, beautiful view, comfortable condo, better than expected. Great condo. Building is in a perfect location. Steps to the beach. Pool and Jacuzzi in the building. Condo itself was very beach. Had all the amenities we needed, including two pak n play for baby (we brought our own but didn't need to). The only downside is how warm the condo gets. This may be because it's a corner into. Condo includes three standing fans but some rooms seemed hard to cool down. Even with windows down it was muggy, but that is to be expected with most condos near the beach. We loved our stay at this property and would definitely stay here again. San Clemente is such a cute and charming town my husband and I think we just found our idea retirement place, cute shops, great food, and nice people. We felt very at home and very welcome! The condo was very clean and in a great location. The beds in the master and second bedroom were very comfortable. The den pull-out bed is ok for younger kids, not so much for adults. An added suggestion to the owner would be to maybe a piece of foam on top of the mattress so you don't feel the springs in your back, this would make all the difference in the world. 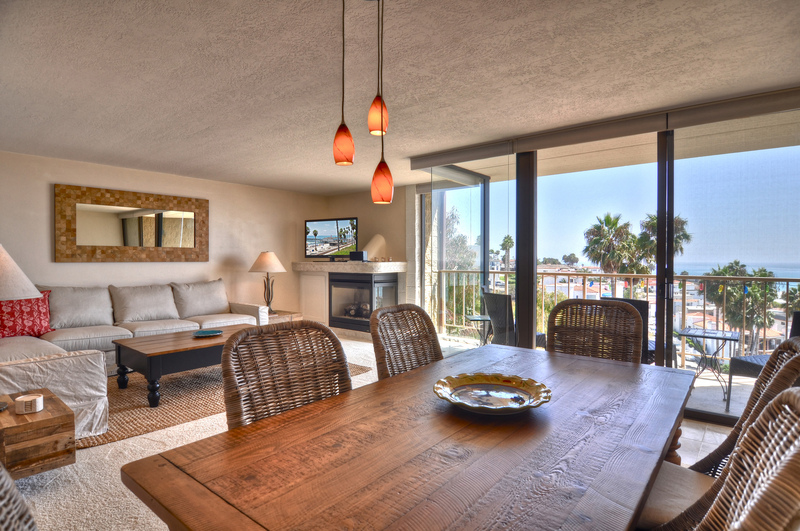 We had a great time visiting San Clemente and staying at this condo. The location is great - you can walk to the beach and the shops. The pool is well heated in the complex and we also enjoyed the community BBQ. Overall the condo was well stocked with kitchen utensils and towels. Overall was a great place to rent and we would love to rent here again! I stayed with a couple of my girlfriends over a long weekend. We were very comfortable and the view was fantastic. Central location to everything. One thing that I found important to remember on hot days was to put the shades in the large glass windows down mid morning until late afternoon so that the sun did not heat up the house through the glass. The glass doors were well worth it. We had beautiful views and fresh air. You're right, Stephanie, the view from this outstanding condo is absolutely amazing! The central location is a definite plus. We're so pleased that you and your girlfriends had a great weekend, enjoyed the view, and loved the location. Come back and see us again! 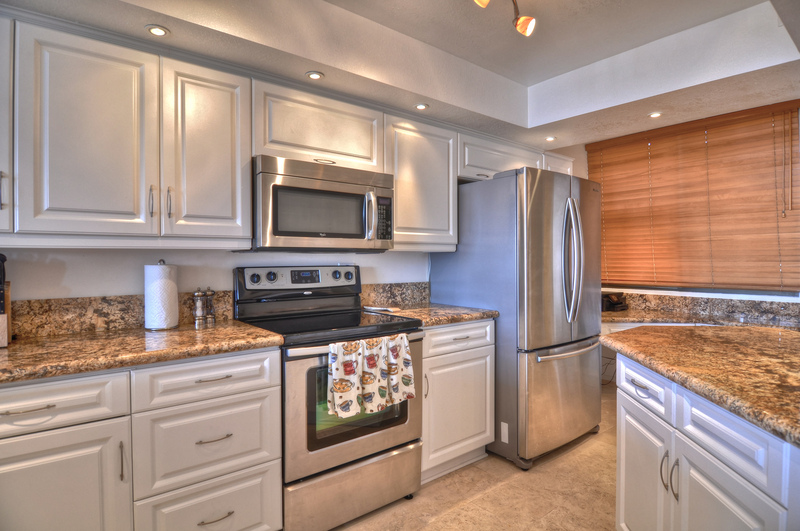 Beautifully maintained condo in heart of San Clemente. 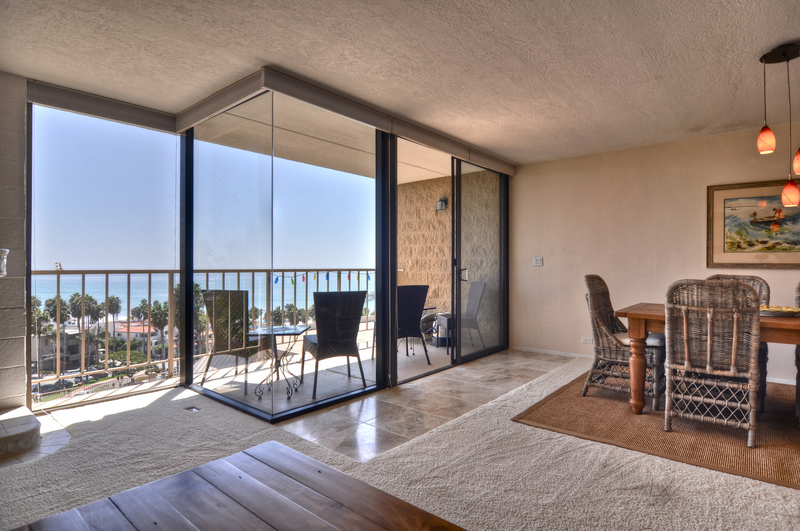 Wonderful view of the ocean and Pier looking through the gorgeous floor to ceiling windows or from the outside balcony. 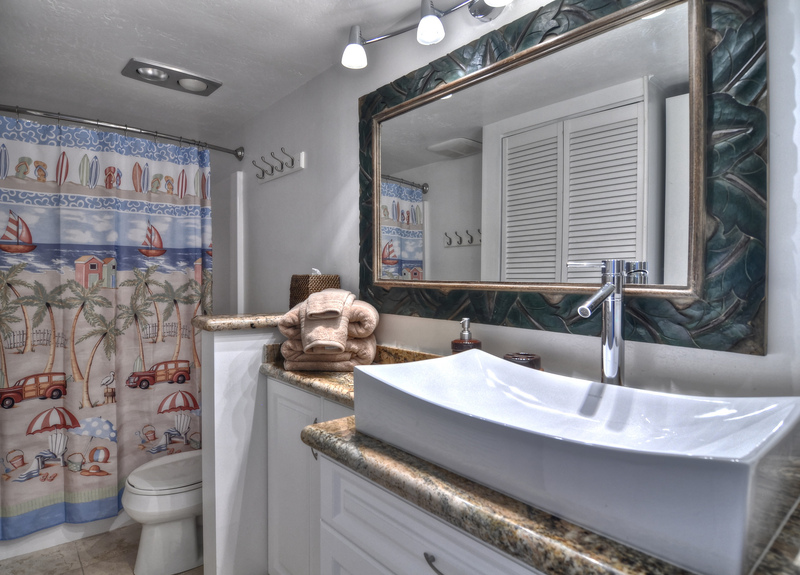 Luxury kitchen and bathrooms(one with a walk-in shower, other with full bath), and beach decor make one feel like they are staying at a resort. Steps to the nice beach (for tanners, swimmers and surfers galore) in one direction and the quaint town of San Clemente with wonderful shops and restaurants in the other direction. 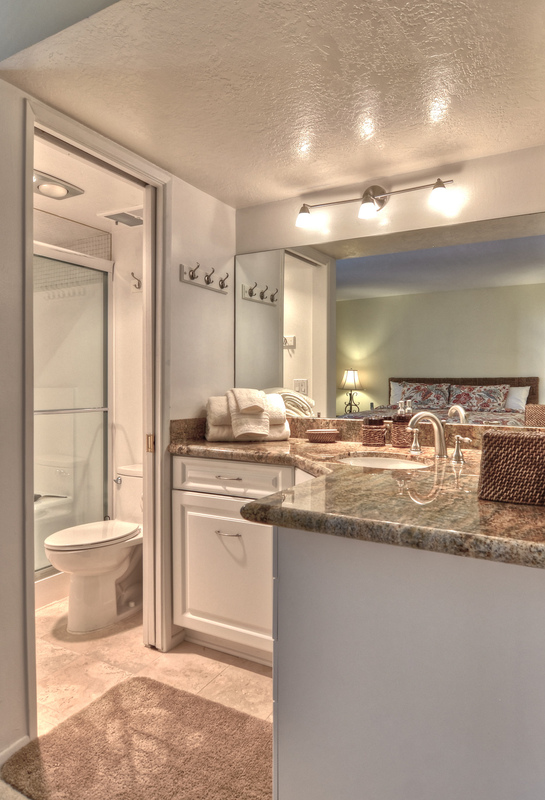 Condo amenities were wonderful too with heated pool and hot tub. Very safe area and ideal for families of all ages. (No worries in letting the teenagers going to the beach on their own.) Perfect for those who may have some physical challenges with elevator to and from all floors and the underground garage. 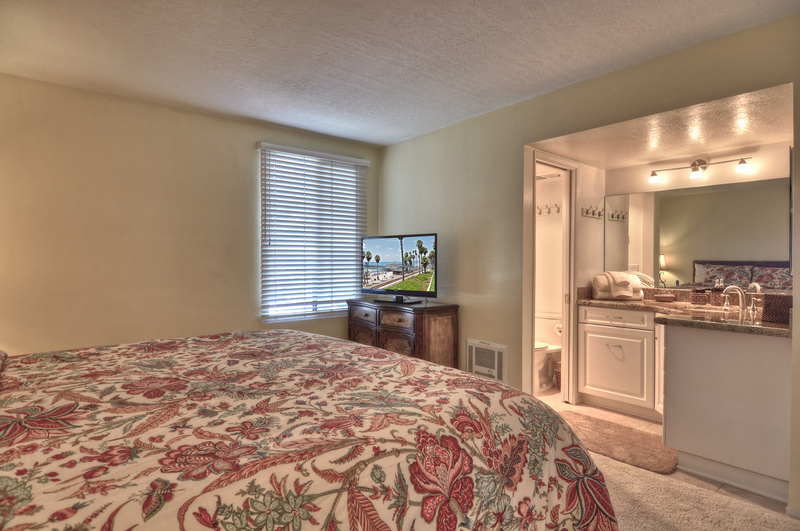 Condo fully stocked with washer, dryer, washer, all cooking supplies, towels, beach towels, linens, pillows, cable, internet. Very convenient to grocery store, highway and attractions. Valerie was a pleasure to work with and I could call her anytime with questions. I have stayed in many places with my family and this ranks tops in value for location, amenities and beauty. Highly recommend and would look no further in returning to this beautiful area. Thank you Valerie for having us as your rental guests! 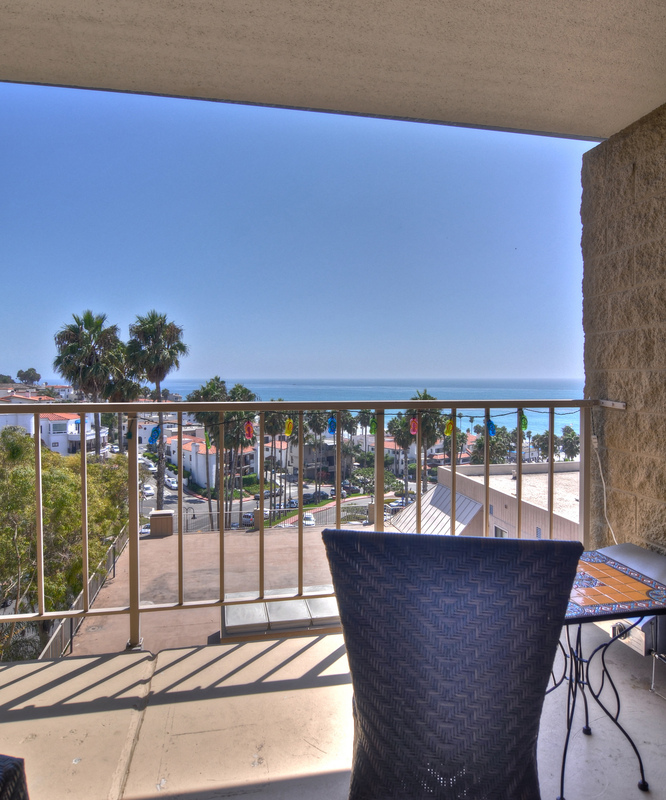 We love San Clemente and had an awesome February and March in this amazing condo. It is in wonderful condition, well equipped and has lots of amenities. We spent a lot of time at the pool and in the hot tub. The condo is close to some of our favorite things....the ocean, Pier, beach trail, beach, great resturants, shopping, AND our precious granddaughter. Everything was good. We had an amazing time. The place was big and in a great location. Owner was really easy to work with. The view was stunning!. 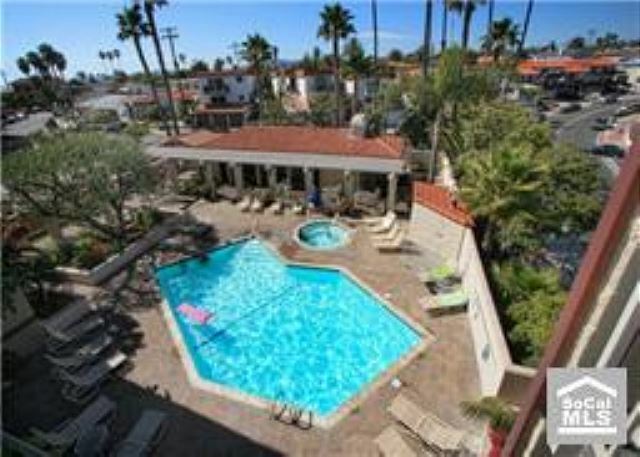 The place provided everything that you need to have a good time in San Clemente. 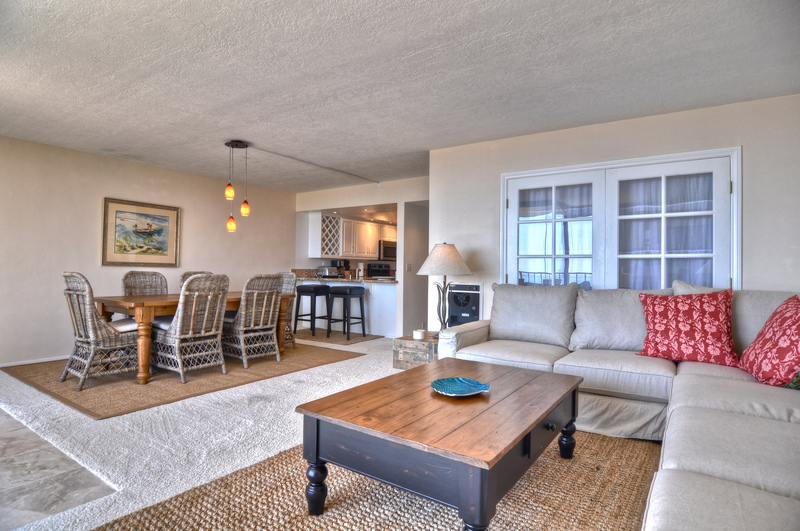 My family rented a condo from Valerie's Vacation Rentals in May of 2014 and we absolutely loved it! Valerie had a number of different condo options available that we could choose from and she was very professional and responsive to us throughout the reservation process as well as during our stay. The unit was exactly as she described it and she lived up to every agreement we reached and provided anything and everything we needed to make our vacation perfect! I would recommend Valerie's Vacation Rentals to anyone looking for an affordable first class vacation and who wants to work with a professional! Great spot! Fun surf, fun town! 2nd year to rent from Valeries vacation inventory and so blessed by her professionalism . Her ability to hear the personal needs and desires to match the rental to the client is amazing. The unit was in great condition compared to so many beach homes with every luxury and amenity possible. Have been coming to the beach for 20 years the the 2 have been the most comfortable and enjoyable thanks to Valerie. 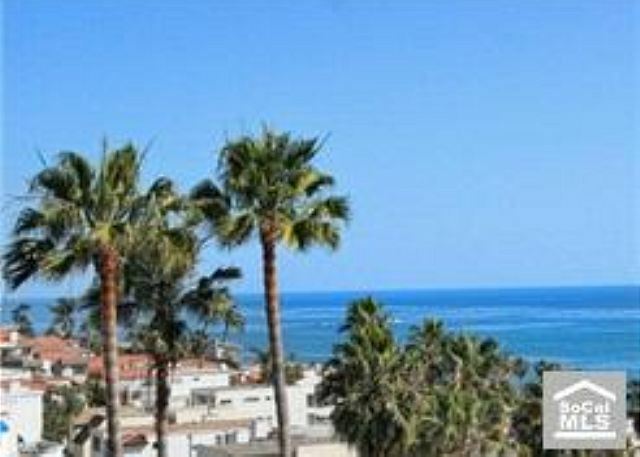 The property was as pictured, with a beautiful view of the beach & pier and was easy walking distance to restaurants & shops. However it was quite hot & there was no A/C so we had to open the bedroom windows/blinds, which were rusty & hard to use. The bedrooms were warm & stuffy, and we had trouble sleeping due to noise from motorcycles, cars, people partying, etc. The kitchen faucet was broken, and we were told it would be fixed but was not. Before we even stepped foot in the apartment, we were sternly commanded to review the rules for the elevator, rules for the pool, etc. We certainly understand the need for policies, but please be more welcoming to your weary guests and just post them in the apartment. For the price we paid for this rental, we should have received more laundry soap, toilet paper, and dishwasher tablets. Yes, we were "warned" but 2 loads of laundry for 4 people for a week is not enough, particularly when we were asked us to wash beach towels before we left. We're not rationing for the war. Go to Costco, buy them in bulk, make everyone happy. Finally, it took longer than expected to receive our rental deposit due to some kind of glitch. We had a wonderful time in beautiful San Clemente. The apartment met our expectations and valerie was a great host. We didn´t experince any problems at all. Great Week in San Clemente!! It was perfect! The unit was as advertised - with spectacular views, exceptional amenities, and everything we needed to make our vacation experience perfect! This is our second year in a row working with Valerie and we will definitely use her for all of our future trips to San Clemente! She runs a first class operation!